Can I Take My Artificial Grass with Me When I Move? Home > Knowledge Center > Can I Take My Artificial Grass with Me When I Move? Artificial grass helps homeowners save water, lower their utility bills, spend less time on yard care, and enjoy the look and feel of an inviting, green lawn every month of the year. With all of these benefits and its growing popularity, it is not surprising that homeowners are growing so fond of their manufactured lawns that some are now wondering if they can take them with them when they move. After all, it is easy to see that once you get used to living with the benefits of fake grass, it would be difficult to give them up. While you can, of course, install a new synthetic turf lawn once you find your new home, it is also easy to see how budget concerns or concern for the environment might cause some to wonder if they can just reuse their old artificial lawn, instead of buying a new one. The answer is yes. You can remove artificial grass and reuse it somewhere else. In fact, some suppliers even sell used turf to be installed in residential or institutional settings. Most of the used artificial grass that can be purchased from suppliers comes from sports fields, which require turf replacement much more frequently than residential installations. 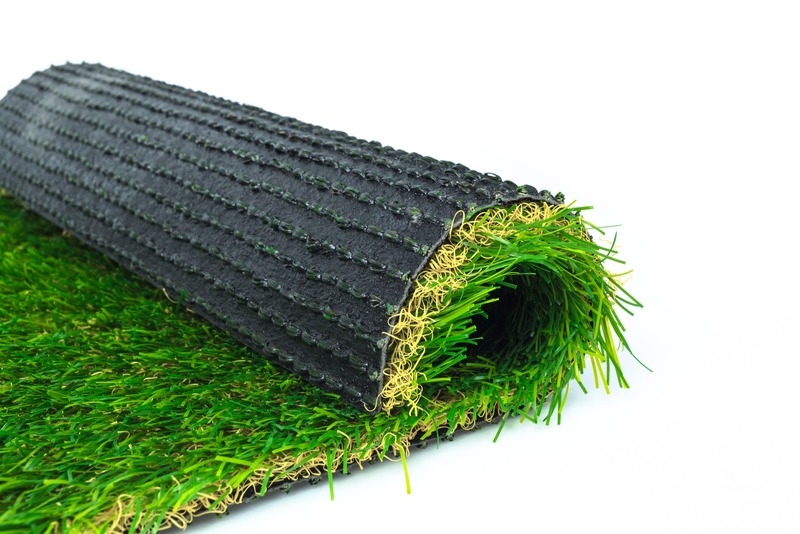 So not only is it possible to reuse fake grass, it is actually a thing – and a thing that is becoming more common. Of course, not everyone is interested in turning old grass from a sports field into a lawn for their children and pets to play on, but it is an option. For our purposes here, the fact that artificial turf is removed from sports fields and given new life as residential lawns just shows that it is possible to remove synthetic grass from one location and reinstall it in a new location. This, of course, means that it is also possible to remove a residential lawn and reinstall it at your new home. However, before you start rolling up your lawn and tossing it in a moving truck, there are several things to consider. Synthetic turf technology is constantly moving forward, which means that new products are introduced regularly. If it has been quite a while since you initially installed your lawn, it may be difficult to match it with the exact same product if your new home has a larger lawn area and you need more material to cover it. It is best to have professionals remove your artificial grass, since any damage caused during the removal process means less turf to work with in your new location. You will need to determine if you need to do something with the ground that will be bare once you remove your lawn. For example, if you are trying to sell your house, you may want to install a different ground cover to maintain your property’s visual appeal. If you are in the process of selling your home and plan to remove your artificial grass once it sells, be sure to include a note in the contract stating that the lawn is not part of the sale and will be removed. Consider the current state of your lawn and whether or not it is beginning to show its age. Then, read this artificial grass installation cost guide to help you determine if it is worth saving the money on materials or better to start with new turf. To ensure a satisfactory installation, it is important to have professional synthetic lawn installers prepare the ground and install your recycled turf. If you do not have enough manufactured grass to cover your new lawn area, you might consider using your old grass for smaller projects, such as ground cover in a dog run or play area, walkways between paving stone patios, erosion control on slopes, or area rugs in outdoor living spaces. If the artificial lawn you plan to reuse is a unique shape, you may not have enough turf to cover a new lawn of a similar size if your new lawn is not the same shape. If your plans to reuse fake grass do not work out for some reason, you can avoid sending your old turf to the landfill by finding a facility that can separate the infill from the grass so that the materials can be recycled into other products. 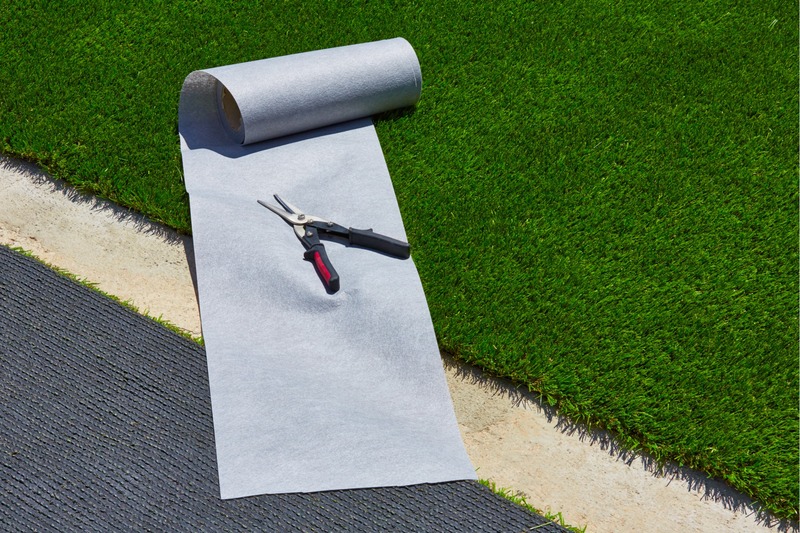 While you may be able to reuse some parts of your artificial turf lawn, some materials will still need to be purchased, such as the base material and weed barrier fabric. Make sure you consider these expenses when determining your budget and deciding if reusing your artificial grass is the best choice for you. Do I Need Infill for Artificial Grass?